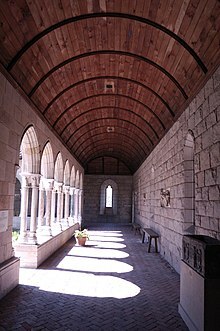 A barrel vault, also known as a tunnel vault or a wagon vault, is a type of ceiling. It is an architectural element formed by the extension of a simple arch. It forms the shape of a semicircle over parallel walls. This page was last changed on 28 November 2014, at 22:07.